Ideas have birthdays. Just like people and events and even buildings. They have anniversaries. The largest of these milestones tend to come in big, round numbers. Like 300. 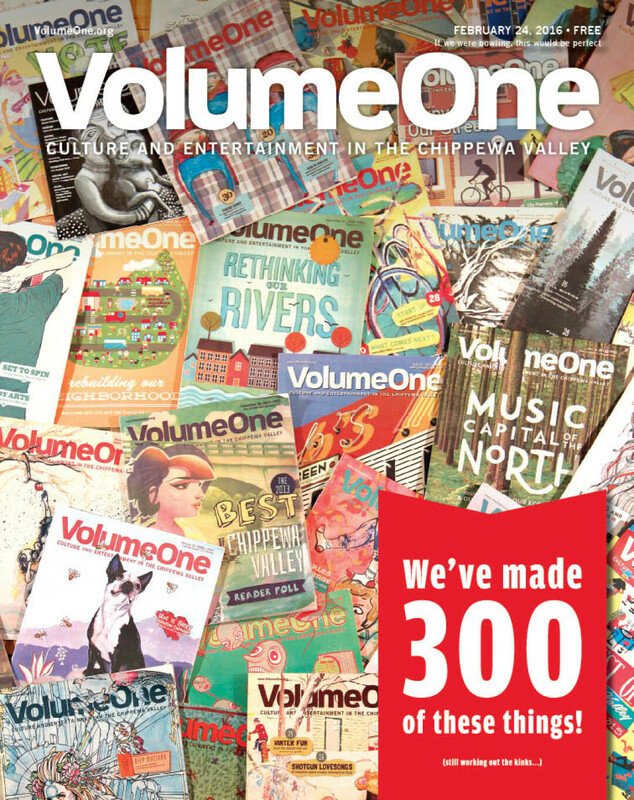 That’s the number of issues, as of today, that Volume One and our nearly 14 years worth of staff, contributors, advertisers, and collaborators have released right here in the Chippewa Valley. Sure, as the guy charged with wrangling all that output, it’s fun to stop for a minute (but not much more, I mean, we’ve got work to do) and glance back to contemplate what it all means. But frankly, in a community with a rich tradition of honoring its truly deep history, it seems somewhat trivial to spend a few paragraphs here ruminating about something that started as recent as 2002. (Which I swear seems very recent to me – a sensation I imagine will only continue to accelerate with time.) 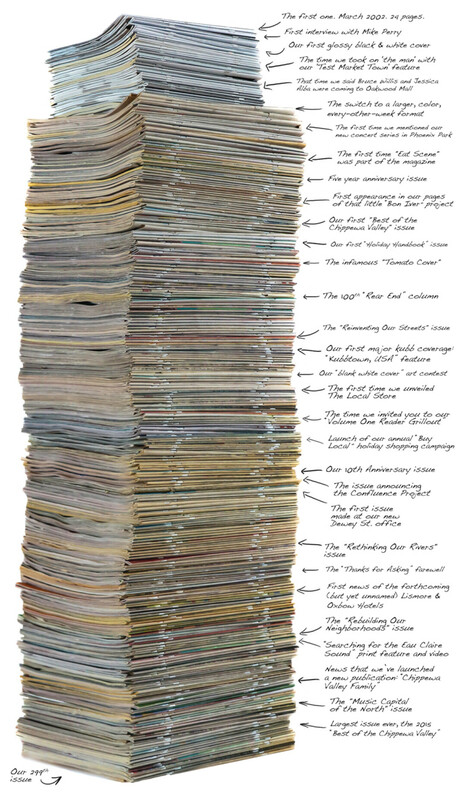 I mean come on, The Leader-Telegram puts out roughly 360 issues every year, and they’ve been doing about that for more than 125 years. You do the math. Regardless, we’re proud of our modest achievements here during these past 300 issues. But more than anything, we’re proud of what our whole community has achieved in that time. We’re just along for the ride, thrilled to help document what has been an exciting era of growth and change for the Valley. To me, it’s mind boggling to add up the number of accomplishments made by the citizens and organizations of this community – all the stuff we’ve written about and photographed across the pages of those 300 issues. Just think about the moments – the thousands of moments – of creativity, leadership, ambition, philanthropy, entrepreneurship, and compassion produced by the people of this place. It was all in there. Or at least a good chunk of it was in there. And if all goes well for us, we’ll put several thousand more moments into the next 300 issues. And to you – thank you for being a part of it all. We appreciate your readership and support. See you out there.